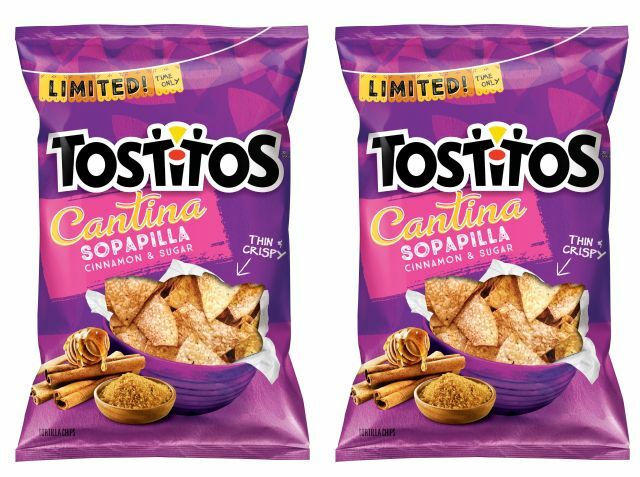 Frito-Lay hopes you'll celebrate Cinco de Mayo this year with new, limited-time Sopapilla-flavored Tostitos tortilla chips. Sopadillas are a type of fried pastry/bread. The new chips feature cinnamon, sugar, and a bit of honey for a sweet take on the traditionally savory tortilla chip brand. 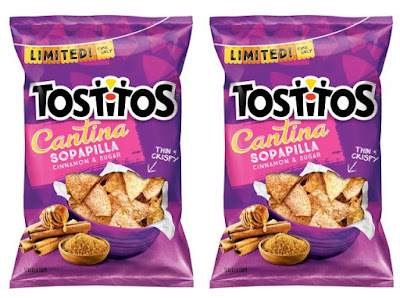 They can be found on shelves as part of the Tostitos Cantina lineup through May 31, 2017. The suggested retail price per bag is 3.29.